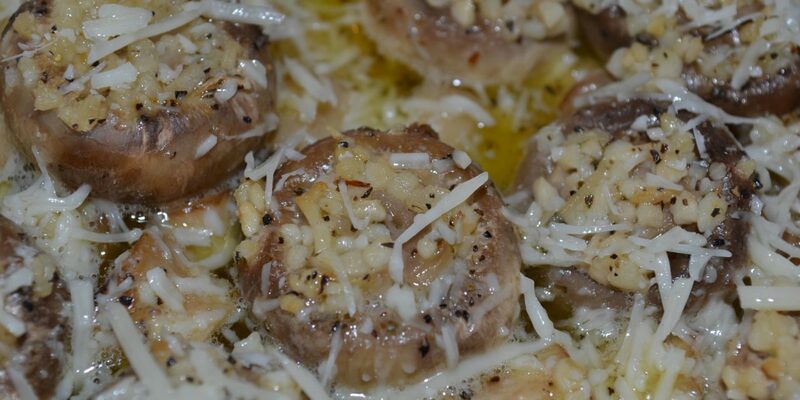 Roasted mushrooms with garlic is a lovely little appetizer or vegetable to go with your entree’. Roasted mushrooms can be made in a variety of ways. 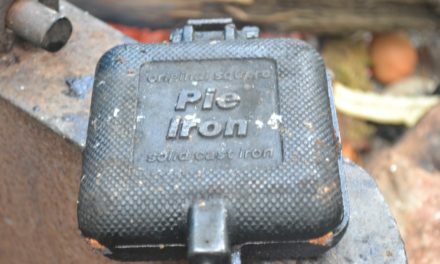 If you are cooking over a fire then you can just wrap them in foil or use a Dutch oven to roast them. If using an oven, any good baking sheet lined with foil works as well. To roast your mushrooms in a Dutch oven just be sure to have enough coals to get the oven in the 400-degree ranch. Keeping in mind that for every 2 coals are roughly 25 degrees you will need about 25 coals …OR… 17 on top and 8 on the bottom to achieve 400° in your Dutch oven. Do not stack the mushrooms in the Dutch oven but line the bottom with them. This will ensure that they roast properly. Roasting mushrooms in foil are great if you are using a campfire. The easiest thing to do is wrap them in foil so that the foil is sealed and they will not only roast but be steamed. When roasting on a fire be sure to get some coals on the top of the foil and the bottom. Or just turn the foil packet often so that it cooks all around. Probably the simplest way to make roasted mushrooms is to just heat the oven to 400 degrees and roast for 10 to 15 minutes depending on how done you like them. This is great if you are in an RV and can save some time if you are in a hurry. No matter how you make roasted mushrooms you will love this recipe and the lovely spices that make this so tasty. Be sure to share with your friends and family, even if it is very hard to do. 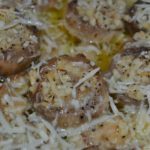 Deliciously roasted mushrooms with parmesan and garlic. If making this in an oven preheat the oven to 400F. If cooking over a fire, prepare fire and coals. Arrange the mushrooms in a shallow roasting pan with the stalks facing upwards. Spoon the mixture on to each mushroom, then lightly press the breadcrumbs on top. 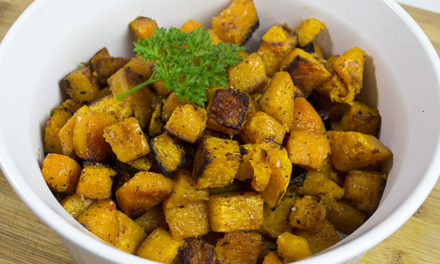 Cook for 10 minutes in an oven or until done or if using a Dutch oven cook until done. The cheese really makes these delicious and most kids love cheese. I hope they love it too.